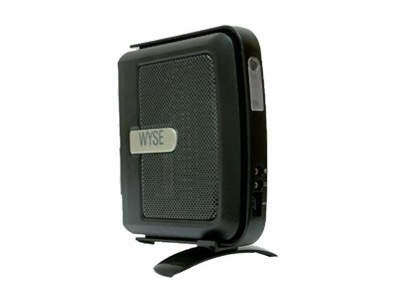 Wyse V30LE Thin Client - FLASH 128 MB - RAM 512 MB - Windows CE 6.0. Includes: V30LE Device, power supply, keyboard and mouse. Reflecting the needs of ever changing desktop environments the Wyse V30LE thin client has the expandability, power and performance to match. Driven by powerful energy saving Via Eden processors, the Wyse V30LE thin client presents an all-round high performance and versatile desktop computing platform. Adding an extra monitor is simple with built-in dual video support. Expanding functionality is straightforward with an optional PC-Card expansion slot. And, just like all Wyse thin clients, it doesn't have a hard drive, so all your users' data remains safely on the server, eliminating the risks from data loss or malicious viruses. A unique monorail mounting system allows the Wyse V30LE to be mounted discretely under desks, to walls and even to the rear of desktop monitors. Questions about the Wyse V30LE (128MB/512MB)? We can help. For more information about the Wyse V30LE (128MB/512MB), or any of our products and services, call us at 1.800.457.8499 or email us. Order your Wyse V30LE (128MB/512MB) today. Order your Wyse V30LE (128MB/512MB) now. Your purchase order, with credit approval, is welcome, as well as all major credit cards, PayPal and Google Checkout. Remember, you'll get FREE technical service with every product you buy from Vecmar.